NaNoWriMo: a silly word with quite an impact. It’s short for National Novel Writing Month. That’s exactly what it sounds like: on November 1, thousands of writers across the globe – representing all skill levels and genres – embark upon the task of writing a 50,000-word novel by the end of the month. It’s a worldwide network of strangers working towards a common, yet deeply individual, goal. Maybe that idea stirs the coals of a latent creative passion in your soul. Perhaps November isn’t the month for you to start, but you’d like to know what writing resources are available. Whatever your situation, your library can help you achieve your writing goals. First, a few words on National Novel Writing Month. 2017 marks the 18th year of this “fun, seat-of-your-pants approach to creative writing.” Their mission statement says, “National Novel Writing Month believes in the transformational power of creativity. We provide the structure, community, and encouragement to help people find their voices, achieve creative goals, and build new worlds—on and off the page.” A little accountability goes a long way when it comes to starting, and completing, your novel. It can be as private a process as you like, but knowing that you have a daily word count to achieve might be just the impetus you need. Learn more, and sign up, at www.nanowrimo.org. Writers are avid readers. So read! Read everything you can by your favorite authors. Figure out why you find them so irresistible. Is it the setting, the characters, the humor, the dialogue? Is it the fantastical atmosphere, the well-researched facts, the philosophizing? Go deep, and branch out. Ask teachers, friends, and librarians which authors they enjoy, and why. Do Google searches for “books like [insert your favorite here].” Check out genre collections on Goodreads.com. Scour lists of literary prizewinners, and bestsellers. Spend an afternoon at your library, and pick something intriguing that’s outside of your preferred genre. There’s a world of great writing out there, but don’t let the options overwhelm you. Above all, read for curiosity’s sake and for pleasure. In doing so, you will internalize the subtleties that distinguish compelling writing from something you don’t aspire to. Once you have a sense of the writer you’d like to be, where do you start? Again, the library is your great friend here. Below, I’ll list of some of the books we have on our shelves, dealing with the art and craft of writing. They cover everything from the finer points of vocabulary and grammar, to genre writing specifics, to publishing tips, to the collected wisdom of respected writers – and everything in between! Explore these vast offerings for yourself by visiting the non-fiction department, and browsing the shelves starting at call number 808. You’ll find valuable advice, no matter your objective. Baty, Chris (founder of NaNoWriMo). No Plot? No Problem! : a low-stress, high-velocity guide to writing a novel in 30 days. Campbell, Joseph. The Hero with a Thousand Faces. Card, Orson Scott. How to Write Science Fiction and Fantasy. Clark, Roy Peter. Help! For Writers: 210 solutions to the problems every writer faces. Cohen, Kerry. The Truth of Memoir: how to write about yourself and others with honesty, emotion, and integrity. Edwards, Jane. Travel Writing in Fiction and Fact. Field, Syd. Screenplay: the foundations of screenwriting. Gioia, Diana, and R. S. Gwynn, editors. The Art of the Short Story: 52 great authors, their best short fiction, and their insights on writing. Gutkind, Lee. The Art of Creative Nonfiction: writing and selling the literature of reality. Hanley, Victoria. Wild Ink: how to write fiction for young adults. Johnson, Charles. The Way of the Writer: reflections on the art and craft of storytelling. Lerner, Betsy. The Forest for the Trees: an editor’s advice to writers. Percy, Benjamin. Thrill Me: essays on fiction. Do you feel equipped to start writing yet? Great! What are you going to write about? Your personal observations and experiences are all you need to get started. Inspiration for all styles of writing will crop up in the most ordinary or unexpected places. For example, writersdigest.com says George Orwell “watched as a young boy steered a massive cart horse along a narrow path, and … was struck by an unusual thought: What if animals realized their own strength?” That idle thought grew into his novel, Animal Farm. Creative inspiration works in surprising ways. Be open to new ways of viewing your daily life. Start writing, keep writing, and don’t give up. Some days might feel like a slog: as the saying goes, “Crawl, but don’t quit.” It’s easier to maintain momentum than to keep stopping and restarting! Everyone can benefit from an outside opinion. Check in with a loved one every now and then to see if what you’re writing is coherent and relatable. Eventually, you’ll have a finished work you’re happy with. Now to decide what to do with it! 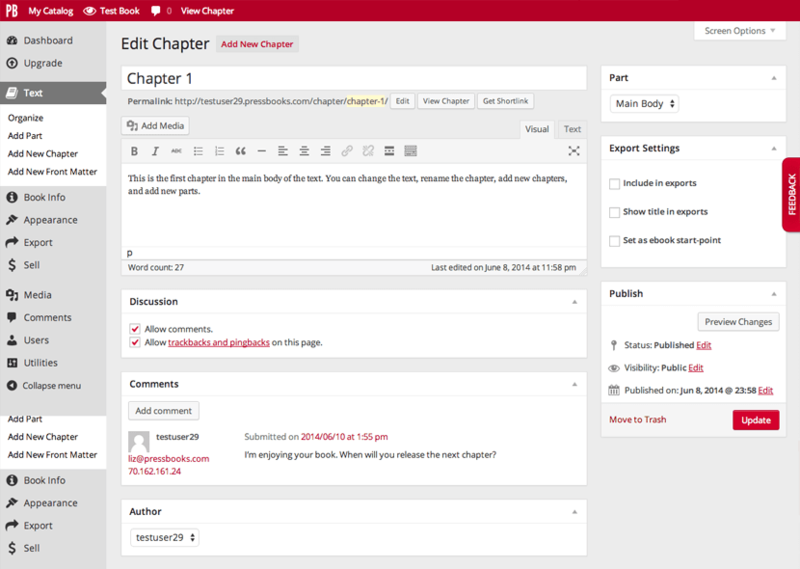 If you want to self-publish, the library is once again at your service. On Williamson County Public Library’s homepage, under eLibrary, there’s a link called “SELF-e for Authors.” SELF-e, provided by Library Journal, “is a discovery platform designed to expose your ebook(s) to more readers via public libraries locally and nationwide.” Find out more at http://self-e.libraryjournal.com/author-faqs/. 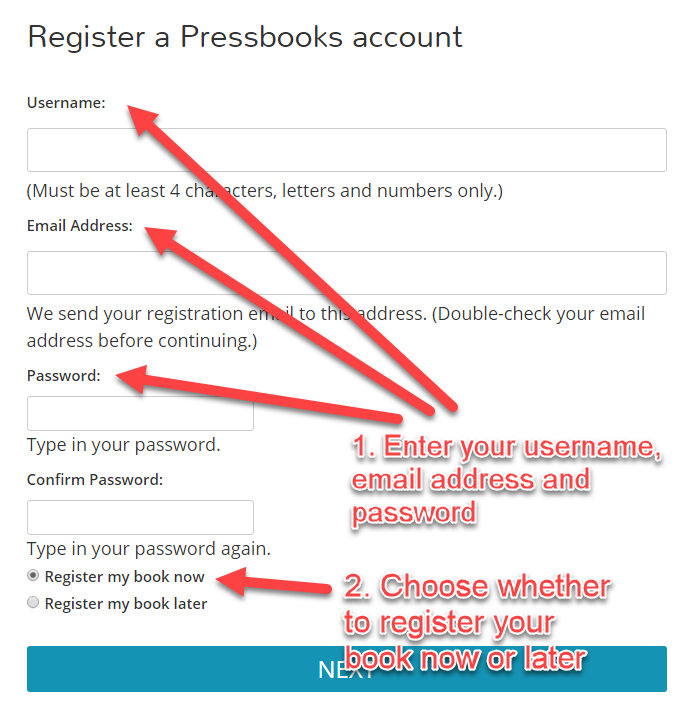 You’ll also find “Pressbooks Self-Publishing” under eLibrary. It’s a great formatting tool to get your book ready for digital and physical publishing. Both of these services are available to you, free, with your WCPL library card number. We hope you feel empowered to start writing, knowing that your library is here to help you along the way! Enjoy NaNoWriMo. Maybe we’ll see your finished work in our collection someday soon.